RENO, Nev. — The Board of Regents today approved the appointment of Dr. Kristen Averyt as the next president of the Desert Research Institute, effective July 1. Averyt was one of two finalists who spent last week on campus participating in interviews and public forums. The DRI President Search Committee, chaired by Regent Jason Geddes, selected Averyt as the sole finalist on January 27. 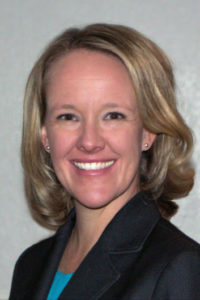 Averyt is currently the associate director for science at the Cooperative Institute for Research in Environmental Sciences (CIRES) at the University of Colorado Boulder. She previously served the university as director of its NOAA Regional Integrated Sciences and Assessments (RISA) Program where she held the position of deputy director (2009-2012) and director (2013-2014) of the Western Water Assessment (WWA). She earned her doctorate in geological and environmental science from Stanford University and a master’s in chemistry, with distinction, from the University of Otago, New Zealand, where she was a Fulbright fellow (click for full bio). The committee is chaired by Regent Jason Geddes and includes regents Cedric Crear, Carol Del Carlo, John T. Moran, and Allison Stephens. Advisory members to the committee include: Dr. Kumud Acharya, Dr. Braimah Apambire, Dr. Jay Arnone III, Michael Benjamin, Mark Bruce, Dr. Mary Cablk, Kelsey Carter (ex-officio), Jenny Chapman, Dawn Coots, Chuck Creigh, John Entsminger, Dr. Jack Gillies, Dr. Joe Grzymski, Steve Hill, Kenneth G. Ladd, Holger Liepmann, Dr. Joe McConnell, Nina Oakley, Brian Speicher, Stephanie Tyler, Dr. Eric Wilcox, and Missy Young. The Desert Research Institute, the nonprofit research campus of the Nevada System of Higher Education, is a world leader in environmental sciences through the application of knowledge and technologies to improve people’s lives throughout Nevada and the world. The Nevada System of Higher Education — comprised of two doctoral-granting universities, a state college, four comprehensive community colleges and one environmental research institute — serves the educational and job training needs of Nevada. NSHE provides educational opportunities to more than 107,400 students and is governed by the Nevada Board of Regents.